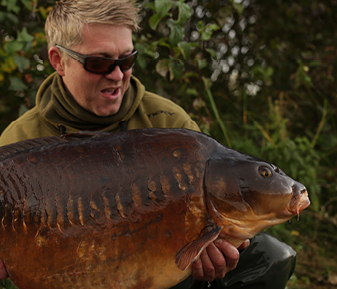 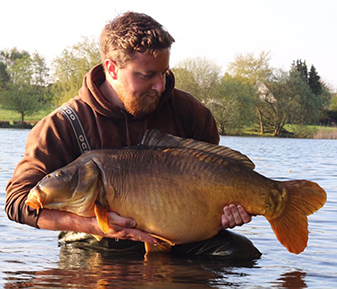 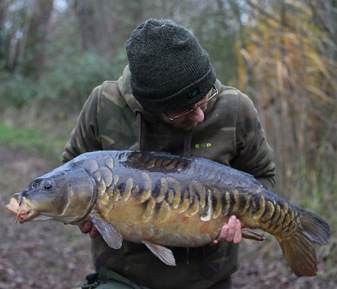 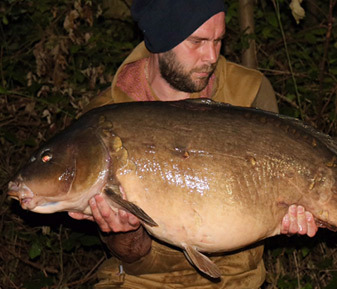 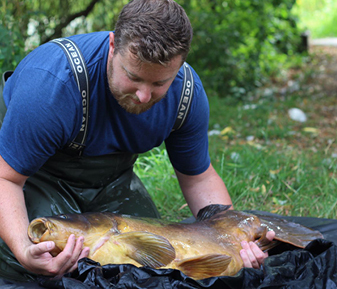 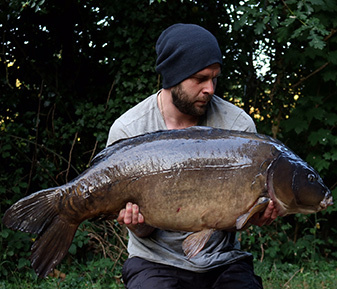 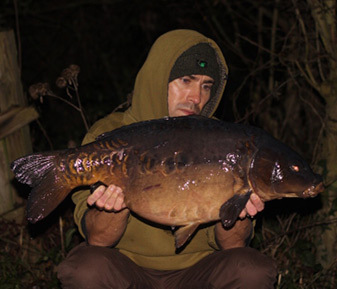 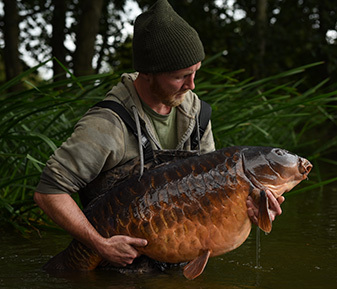 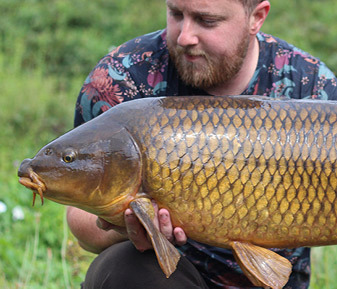 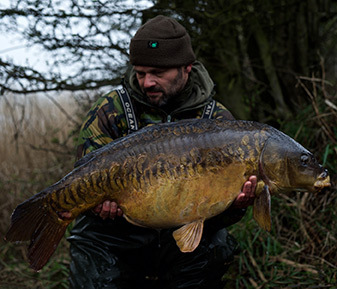 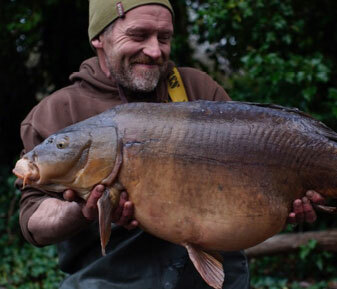 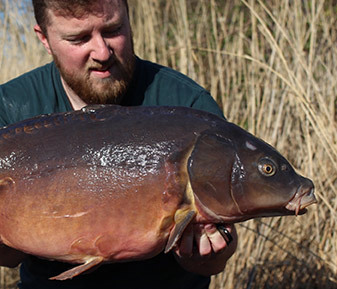 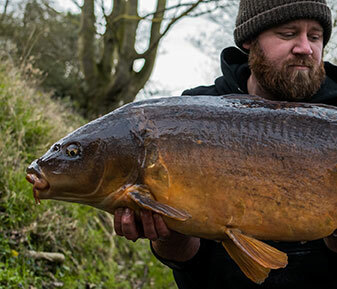 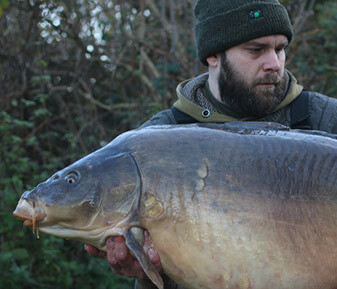 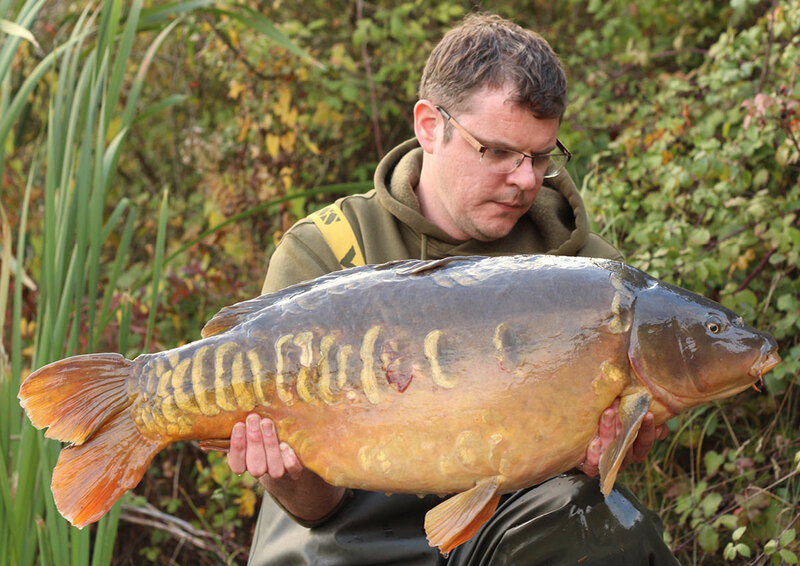 After a tough run on an old water, Scotty K decided to up sticks and move over to a new venue this autumn, resulting in a 20, a 30 and a 40 within a couple of trips. 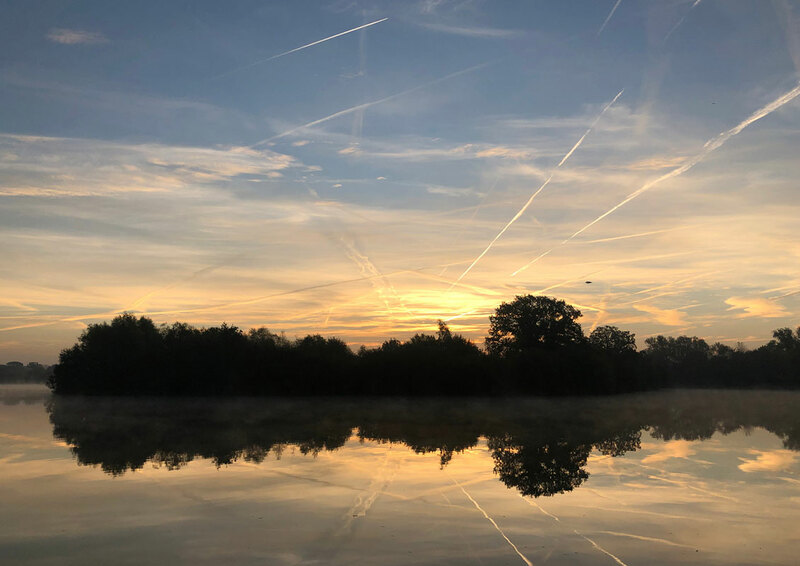 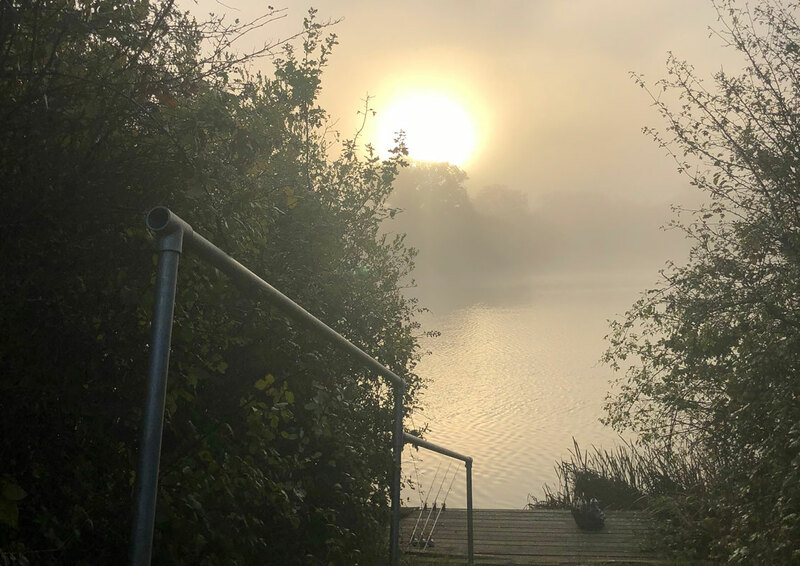 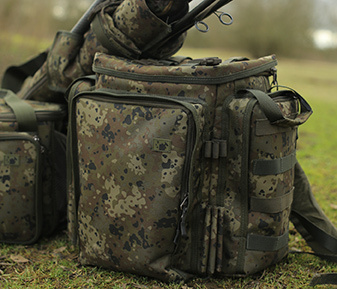 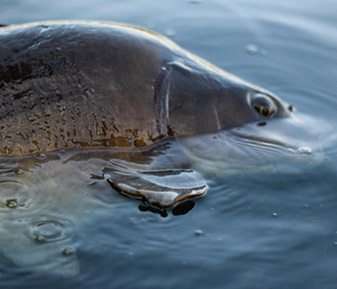 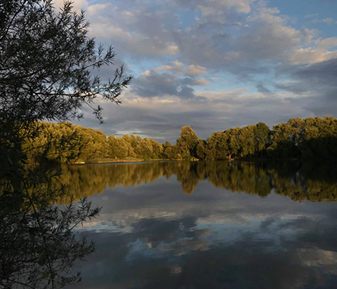 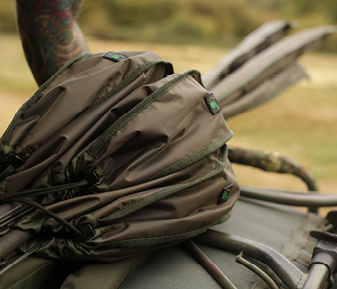 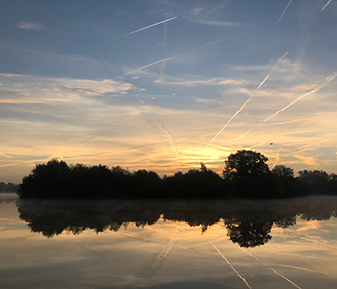 “Having not done a great deal of angling this year, I was feeling a little stale, going over old ground on a lake I’d fished a lot in the past. 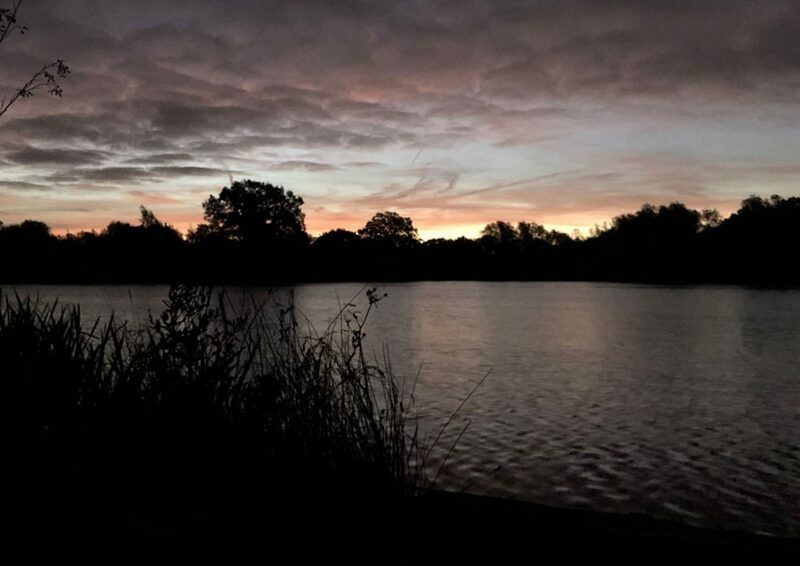 After another uninspired lap on the hunt for some carp to fish for, I decided to spend the evening looking at another lake – within a couple of hours I’d seen a ridiculous amount of fish shows and activity, which really fired me up for a return at dawn the next day. 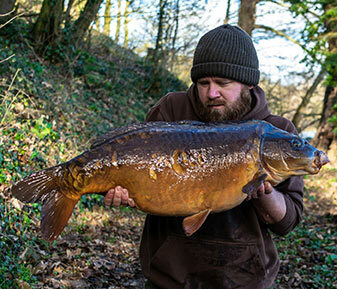 Arrived at first light the next morning, the fish were still in full display. 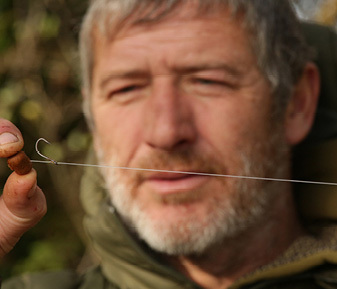 After a patient wait of 4 hours, I managed to get the drop into my fancied zone, spending some time watching to pinpoint the exact lines they were showing on. 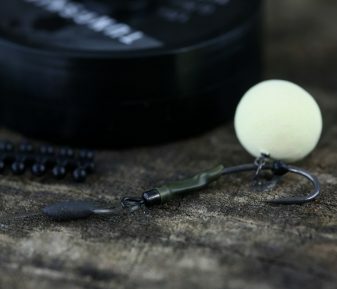 Taking a chance with 2 single hook baits for the day, I made sure to mark my lines with marker elastic in case I needed to recast to the same marks. 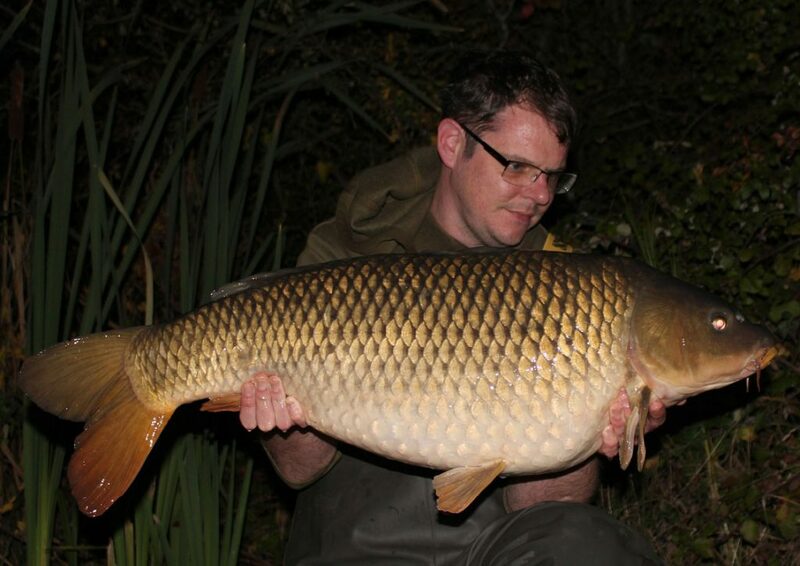 A loose scatter of 16mm krill baits on dusk with a throwing stick completed the traps for the first night. 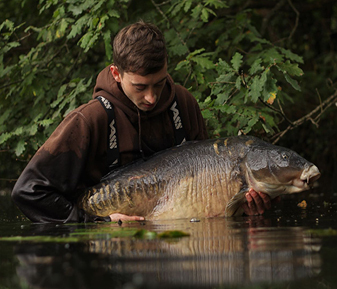 I woke to a slow bite the first next morning, a great big slab of a bream having hung itself. 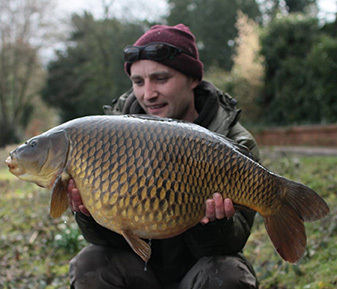 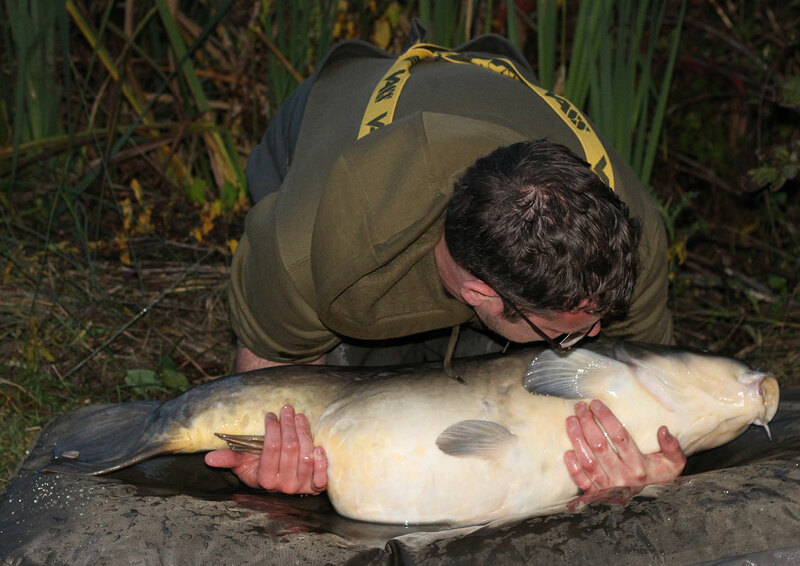 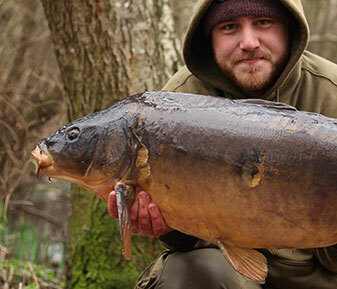 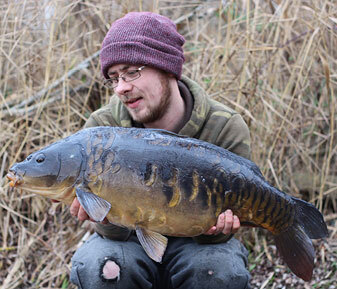 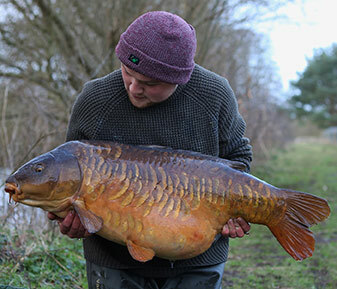 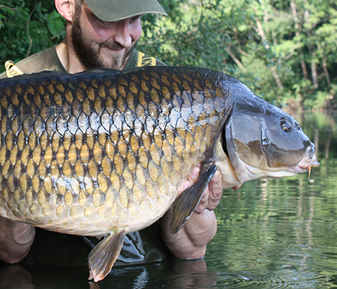 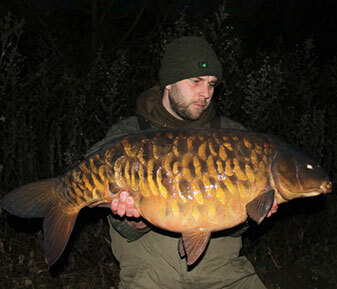 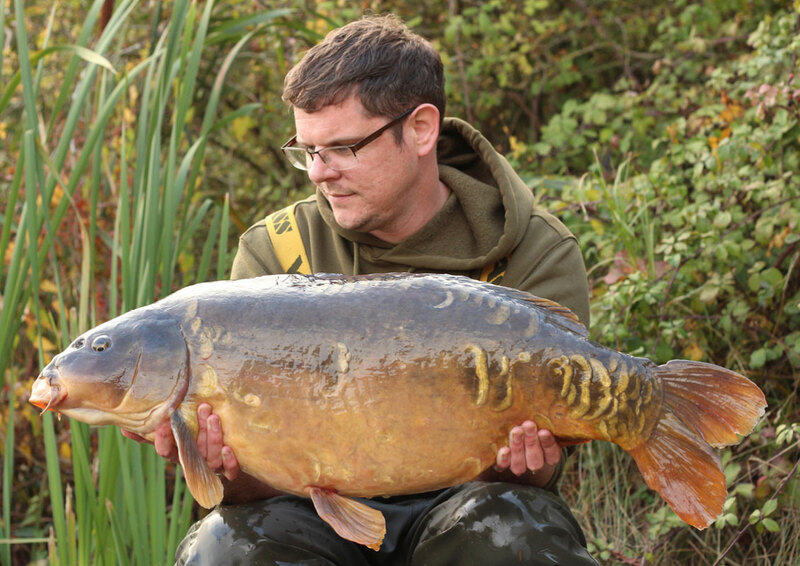 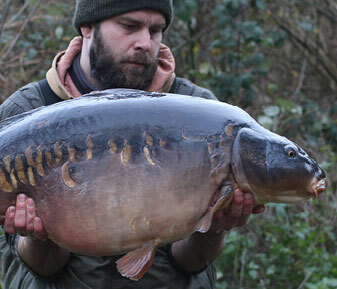 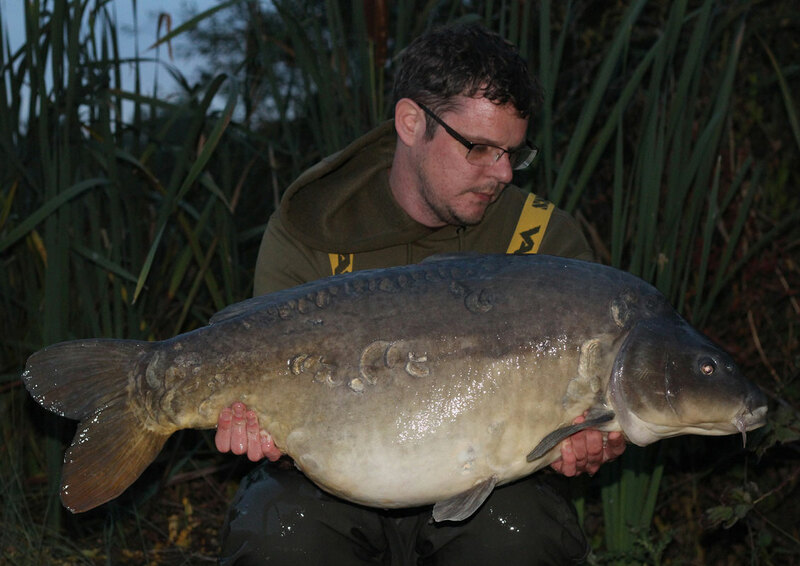 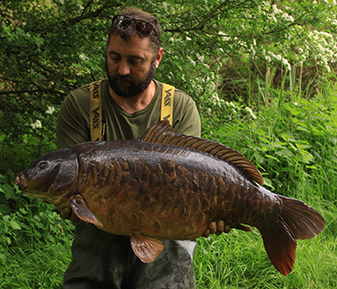 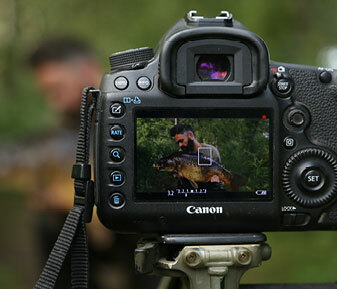 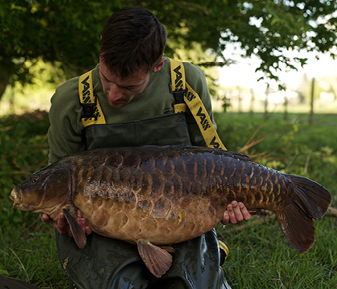 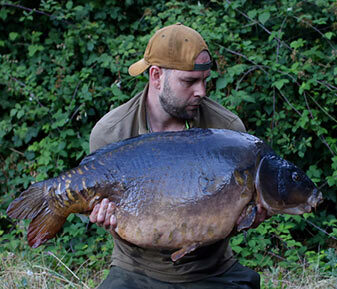 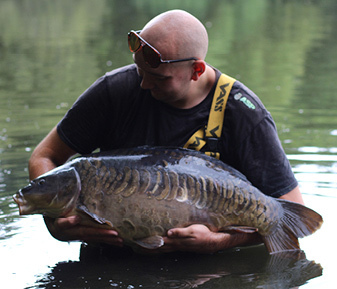 After managing to get a good recast first time, the carp started to show in the area. 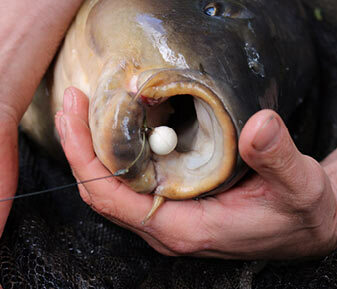 As the buzzer signalled a second take, I looked up to see a huge set of rings right over the deep water over the spot. 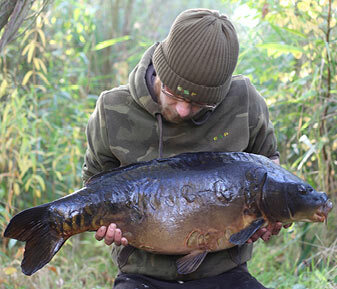 Unbelievably, another bream had hung itself while the carp put on their dawn display. 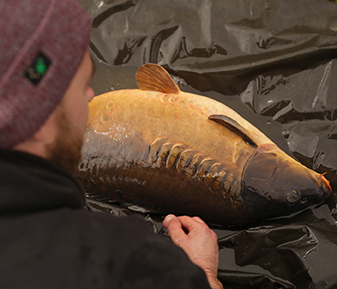 Having a change of tactic, I crumbed up a selection of krill and manilla, with pellets, seeds and liquids in the mix to offer them in the afternoon once the activity had subsided. 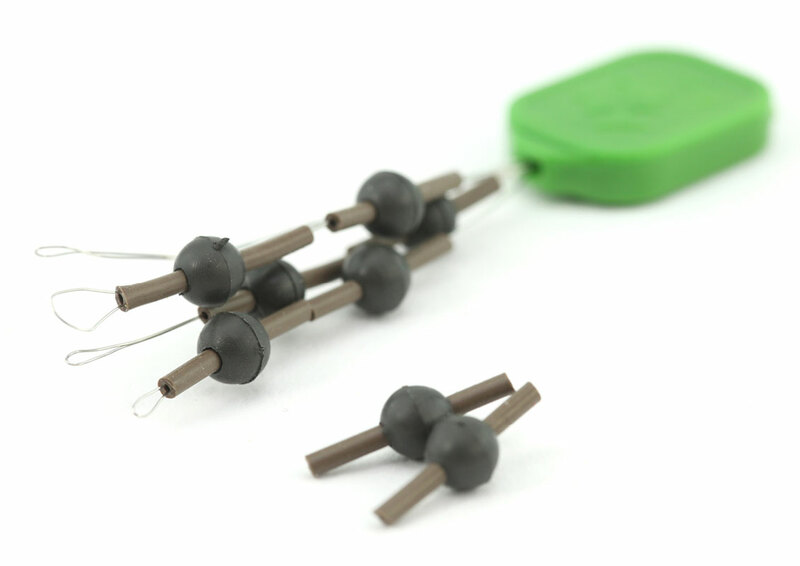 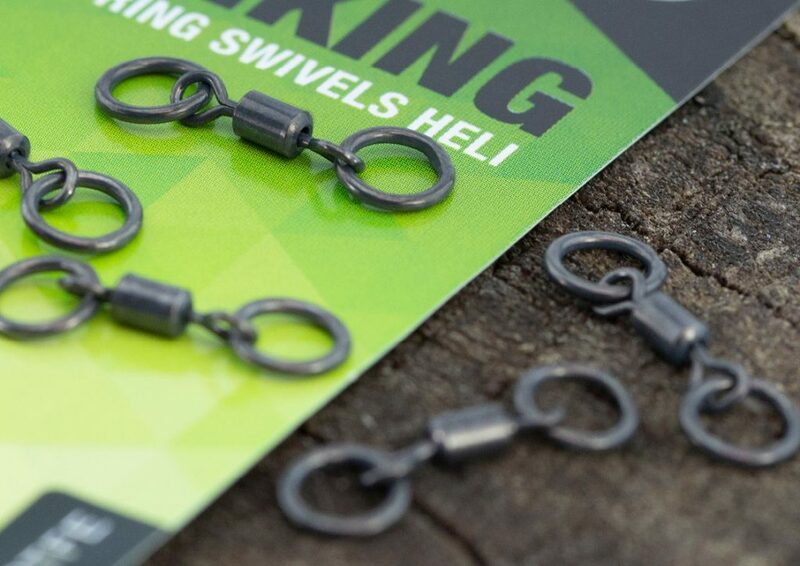 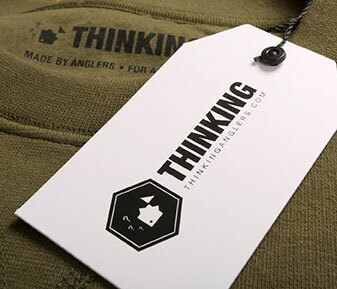 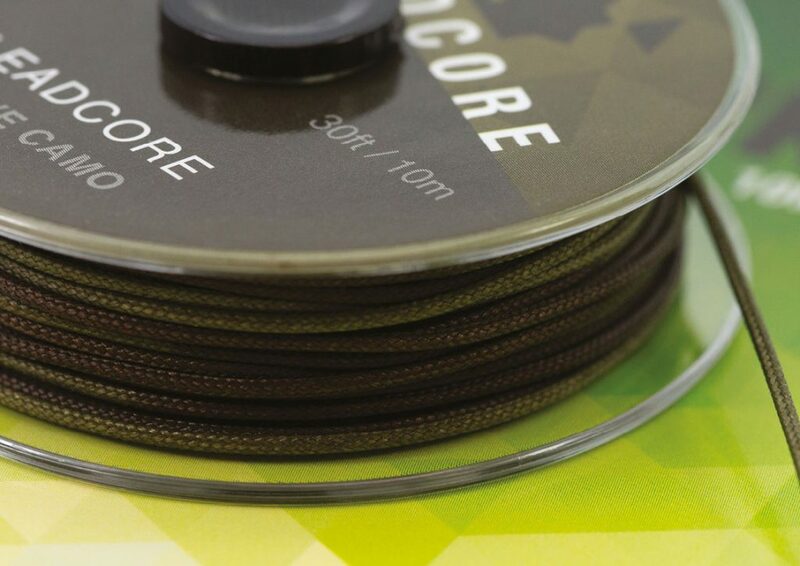 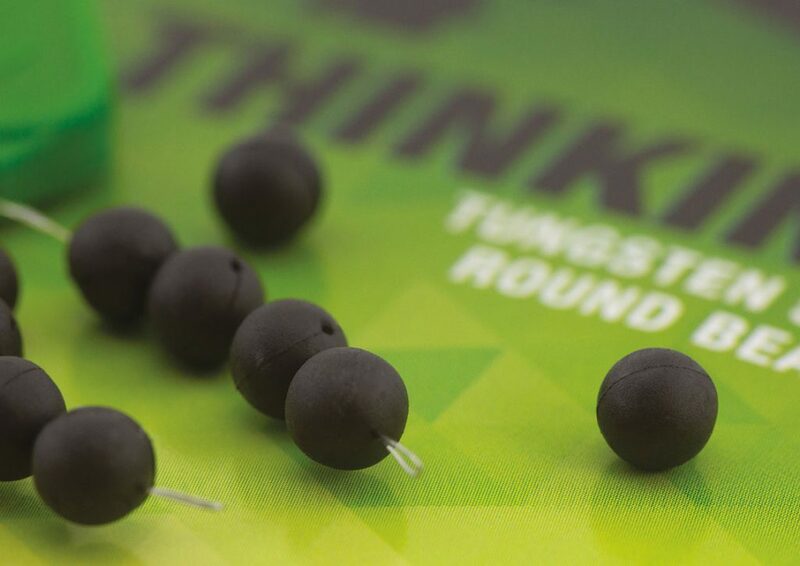 I spent a good hour accurately spodding to both marks on the same clip, casting two rods out over the top with helicopter rigs comprising of the new olive camo lead core, safety top beds, tungsten bottom beads and double ring swivels, with the latest batch of out-turned eye test hooks. 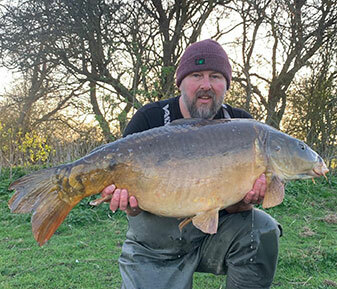 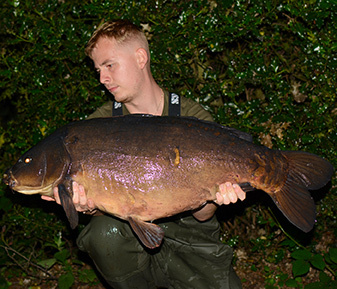 The buzzers hadn’t even been switched on when one of the rods pulled from the clip and a dogged, deep water battle ensued, resulting in a nice clean 29lb mirror with broken linear scaling on one side. Topping up the swim with the remains of my mix, a 30lb common fell to the same rod in the hours of darkness – what a nice start to a new venture. 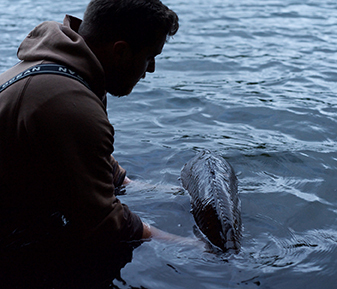 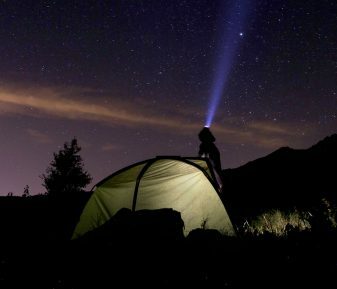 Returning the following weekend and slotting into a nearby swim, I managed to secure myself back into the favoured zone for the second night.